I am, obviously, writing this after the fact. I’m not entirely sure it’s even possible to write a production journal during shooting. There is just absolutely no time. Maybe on a bigger production when you’re not shooting between 7 and 10 pages a day, when there’s slightly more downtime and you don’t have THAT much to worry about when you’re home at night. I’ll say this though, despite the amount of material we had to shoot in only five days, this was probably the least stressful shoot I’ve ever directed. I had an amazing production team, led by producer Orlin Dobreff, Line Producer/1st AD Otto Penzato and 2nd AD Ron Dempsey, who really allowed me to do my job and focus on the actors and camera, except when it was absolutely necessary to talk about any production related issues (more on that later). It was also my ninth project with Director of Photography Paul Niccolls, so we were able to easily slip back into an easy relationship that we’ve perfected over the course of working together since 2004. For those unfamiliar with Anthony E. Zuiker’s Digi-novel series “Level 26,” of which “Dark Revelations” is the third and final in the trilogy, the concept is this: you can consume the novel like any other, read it cover to cover, without missing a beat. However, about every 40 pages, you’re given a code to log in and watch a “cyber-bridge,” which is a several minute long piece of motion picture footage that will continue and/or dive deeper into the narrative of the book. The last two sets of cyber-bridges for “Dark Origins” and “Dark Prophecy” were written and directed by Zuiker himself. This time however, he’s handed both duties off to myeself and it’s a huge honor. Travis and I co-wrote the cyber-bridges together and I directed them. Each version of the cyber-bridges has been, if nothing else, an experiment in how this multi-media experience works. After readers got a hold of “Level 26: Dark Origins” we heard that they felt like they were missing a part of the narrative if they were unable to watch the bridges, say if they were on a plane or at the beach. We corrected (maybe over-corrected) for “Dark Prophecy” by making the bridges their separate, yet related, self-contained movie. Many readers then felt that watching the cyber-bridges wasn’t really necessary. On this one, Zuiker allowed Matthew Weinberg, the President of our company Dare to Pass, Travis and myself to come up with a solution. Anthony was interested in exploring the villain, Labyrinth, in the bridges, so together we turned that on its head and not only made Labyrinth the subject and focus of the cyber-bridges but decided to explore his mission from his point of view, essentially turning him into the protagonist (hero) of the cyber-bridges. Travis and I relished the idea of giving the audience a glimpse into the humanity of a man who believes he is on the right side of history. It’s that famous quote from Joseph Campbell; “The villain is always the hero of his own story.” And so we dove in and began a historical journey through the great revolutions and revolutionaries of the past several hundred years. I’ll let you decide when you see it in the end, but I think Travis and I were able to present a sympathetic character, despite his actions, and may have even pushed you so far as to be on Labyrinth’s side by the end. We did several drafts of the script, all the way up to shooting, each time building Labyrinth’s arc, building his humanity, his argument and in the end, based on everything the crew and cast said to me, we succeeded, with many thanks to Anthony and Matt’s guidance. Almost everyone came up to me and said, “You know, it’s funny, because I actually agree with Labyrinth.” That was gold because my goal as a filmmaker is to challenge your preconceived notions about how things are, how they should be, to make you think. NOT convince you of one way or another, mind you, but to push you in a direction you might not have thought of going. I did the same thing with Dig. We took a Nazi, probably one of the least sympathetic characters you can think of, and really did our best to find the humanity in him and I think it shows. We don’t excuse what he did but we do show you a three dimensional human being. Many people have told me, after seeing Dig that they actually felt bad for the guy and were a little weirded out by it. It’s really a testament to Zuiker and Matt, that they let Travis and I go in this direction but we’ve gotten so many compliments from those that have read it that I really think it was the right thing to do. 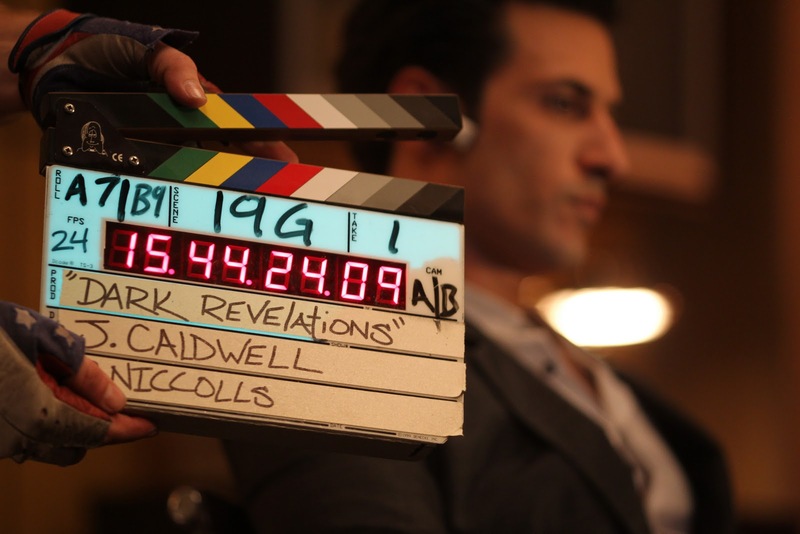 Overall, Level 26: Dark Revelations is about revolution. It’s about the very thing that is going on right now with #occupywallst and the protests around the country and the world. Labyrinth believes this world can do better. Maybe his methods are questionable, maybe not, you be the judge. But the parallels to what’s going on across the globe are ridiculous. I really can’t wait to hear what you think. Tomorrow: Day 1 of Production.